HOT DOG DAYZ!!! 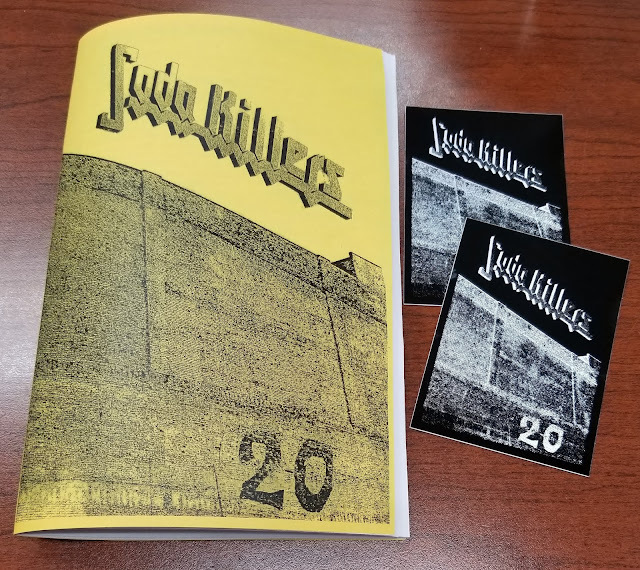 : Soda Killers Magazine #20 OUT NOW~! 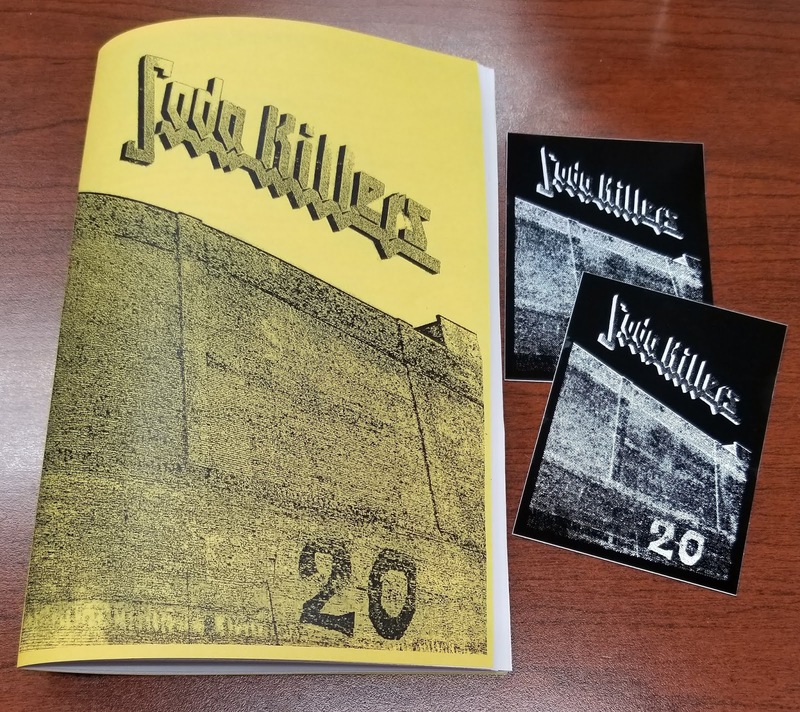 Soda Killers Magazine #20 OUT NOW~! Featuring Chicago punks C.H.E.W. ; coverage of the inaugural pro-wrestling rock 'n' roll event Let's Hang Out; The Noodle Report: instant ramen & pho; Judas Priest and Deep Purple live; Food Court Face-off: Sam's Club vs. Costco; punk, metal, rap, and hippie records & tapes; noise CD-Rs, overeating, shrimp shaming, throat stinger pizza crust, pushover parents, ninja movies, autobiographical record reviews, and more. With contributions from Jim Gies, Jesse Mack, Robert Newsome, Sal Petersen, and Nathan G. O'Brien. 40 pages, half-size, cut 'n' paste, photocopied in black & white. Comes w/stickers and trading cards.